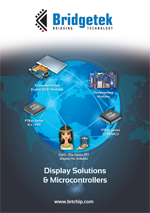 This series of innovative graphics controller solutions with Embedded Video Engine (EVE) technology provides simultaneous display, audio and touch functionality. Utilising this concept, a unique object oriented methodology is adopted for creating hi-quality human machine interfaces (HMIs). The technology can then equip engineers with everything that they need to to quickly and efficiently design HMIs and deliver robust, hi-resolution TFT displays with a lower overall bill of material (BOM) cost. Since the launch of our first resistive touch controller IC, the FT800 - in early 2013, the touch display controller series has grown and strengthened. 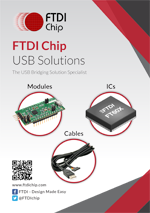 The multi-award winning range now includes a number of resistive and capacitive touch controller IC options, an extensive range of development modules with a a number of LCD controller bezel options, and a variety of corresponding accessories utilising both the flagship FT80x series and the advanced second generation (FT81x)and the third generation (BT81x) series of display controller ICs, which boasts various enhancements and extended capabilities on its predecessor. 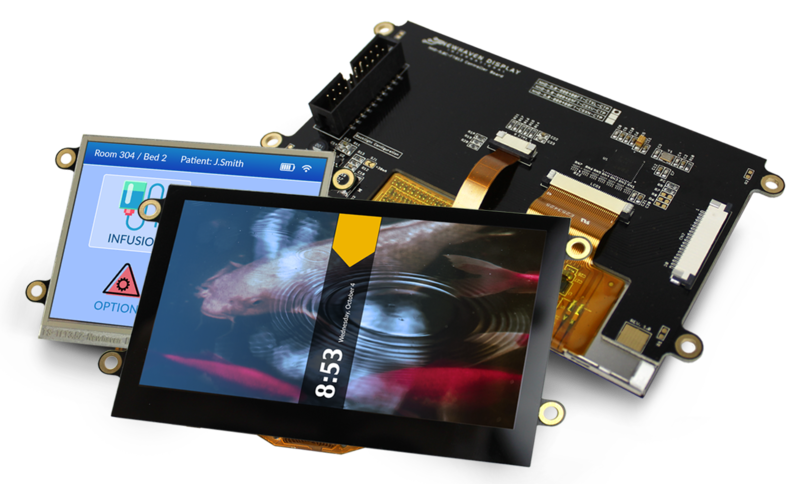 With 3 in 1 functionality including display, audio, and touch operations, engineers now have an advanced solution to easily create and output state-of-the-art interactive TFT display systems.